Today’s meditation turned into another “automatic typing” session where I just typed whatever came into my head as I tried to meditate. It was difficult to get into the right frame of mind at first due to noise from other people in the house so instead of sitting at my computer keyboard I disappeared out to the front verandah with my iPad and typed on that instead. I had already spent some time standing before my altar asking which of my Dragon Clan would like to assist me today, and Zanora — the being that resides in my Lapis Lazuli Crystal Dragon Skull — came forward. The following is what she said to me. Sometimes it seemed to come from Zanora, talking about herself and other Dragons as “we” and at other times it sounded like other Dragons were talking to me about Zanora. Or maybe Zanora was referring to herself from the third person point of view sometimes. I have to admit it is very different to previous messages I have received when meditating and a little confusing in places, but it is what it is, and I present it here for your enjoyment, puzzlement or whatever feelings and thoughts it stirs. The Dragon’s heart is within your heart of hearts. All that you need is within. 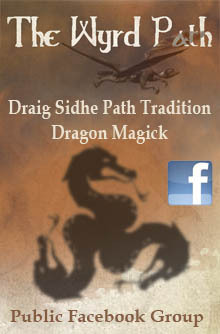 A Dragon’s head can be seen in a tree in the bushland across the road, the incense smoke is their breath. Love, infinite love, swirling about infused with the light of knowledge. 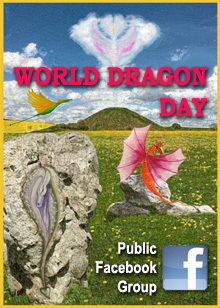 The way of the Dragon is different for everyone who seeks it, infinite possibilities, not always visible. Meant to confuse and confound those who are not ready to truly SEE what has always been there. Let the channeling flow, do not question the words as they come. Recognise and trust in the divine inspiration that will flow even if it seems nonsensical. Zanora is a celestial being who inhabits a Lapis Dragon skull for your benefit. Trust this process and make the connection. It is difficult at first and will get easier in time, but you must persevere with the process. We are here to help you with this, it is what you are meant to do, to know, to dare, to will but not always keep silent. This disjointed message is only the beginning of what is to come. We are Galactic Dragons who are now of the Earth. All consciousness is one, yet many. Ego is good for it is the fragmentary experience of the one that helps to consolidate the experience of the many. This will not make sense just yet. In time you will understand. Do not strive to be part of the one for you need to develop the self first. It is part of your life’s journey to develop the individual experience before eventually, many lifetimes later, integrating all experience with the one. Do not overthink these words …just be in the moment and all will flow as it is meant to. The cry of the Raven in the far distance reminds you of us. Let that be the sign that we are always near and a reminder of our presence when you hear it. Zanora comes from the sand dunes of another planet. She sees them now and shows you images of long, blueish grey grass growing in sparse clumps on the sand and gently blowing in the breeze. The dunes are silvery white against the backdrop of a lavender sky, the two suns casting long, gentle shadows behind the dunes as the 3 golden moons rise above them. This is home and she will return when the time is right. But for now, hear her words and take guidance when and as you are able to understand what is required. We will always be here with you in some form or another. Take note of life’s synchronicities as they are presented to you and know that it is us you have connected with, our stream or current that is always flowing and just waiting for you to notice and tap into it, to flow with it, wherever it takes you. Be not afraid of what others might think for this is your journey, not theirs. Follow your heart …the heart of a Dragon. This entry was posted in Channelled messages, Crystal Dragon Skulls, Dragon Magick, Dragon Meditations, Dreams & Whispers and tagged Crystal Dragon skull, Dragon Meditation, Zanora. JLB: (10 Oct 07:10) good stuff. not bad, you. I’d like to recommend some books for you- particularly a book overlooked by many dragonkin- it is called “family of light” by barbara marciniak. I have read all 4 of her books, but that third book of hers (family of light) goes into some good detail about dragons. there is also the third book by neale donald walsch that goes into good detail about highly evolved beings(“HEBS” as he acronyms them)- anyway, to let you know, I myself have channeling ability, telepathy, I do astral travel almost nightly, and I am a starseed/indigo/furry/kin/ashtar command groundcrew. me and you could probably talk about this stuff all week and not fall asleep, if you know what I mean. lately, ive been being guided into a native american/red-path direction and am learning to explore some other not-so-dragon aspects of myself, considering I am 35 and have worn the “dragon thing” down to the bone. anyway, if you’d like to talk or get a conversation with people going let me/us know. I long ago gave up trying to teach things like this on dragon forums and kin chat forums and chatrooms, because in the end I always ended up as the laughing-stock and an object of scorn and being kicked and banned. for example, if you took that couple pages there that you channeled and posted them to a dragon forum, they would probably laugh you/argue at you/troll at you so badly that you wouldn’t make it much further on the forums. I am curious if you can see this or not- do you have any forum experience??? I was a teacher on the original Tysha’s Dragon forum and me and her were reasonable friends. im curious to know. who knows, maybe youd like to set a forum up where types like me and you can talk without being treated like slime??? let me know what you think!! 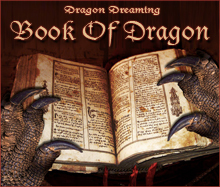 Topaz Drachen: (10 Oct 16:31) Thanks for your thoughts and for the info about the books – I didn’t know about those ones. 🙂 Yes, I am quite familiar with forums and all the foul-tempered juvenile behaviour they can elicit. 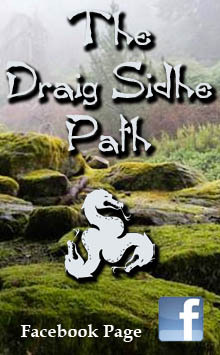 I’ve had my share of setting up some general Pagan forums in the past, as well as a couple being specifically for Draconic Paganism, and being Admin/Moderator and having to deal with badly behaved people as well as problems with spammers/bots etc. I’ve never been a fan of chatrooms. 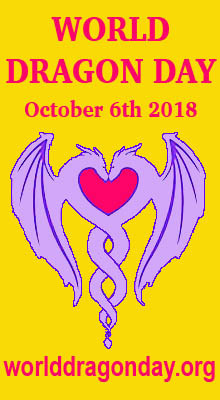 I’m still a member of a few forums (though no admin role) where I tend to lurk more than participate these days, though I do occasionally post on the Dragonhenge forum, at http://www.draconicpaganism.com (where people are in general more polite and respectful). So no, sorry, I’m really not interested in setting up another forum. You’re welcome to join Dragonhenge if you want to. 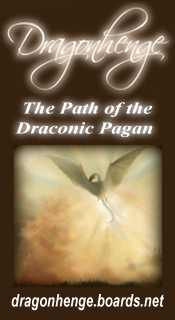 The emphasis there is on Draconic Paganism and the practice of Dragon Magick rather than furry/kin etc but there is a little bit of overlap with some members there who identify as Dragonkin. If I was to post anything there about my “channeling” I think I’d put it in the “member blogs” section rather than the main forums anyway.